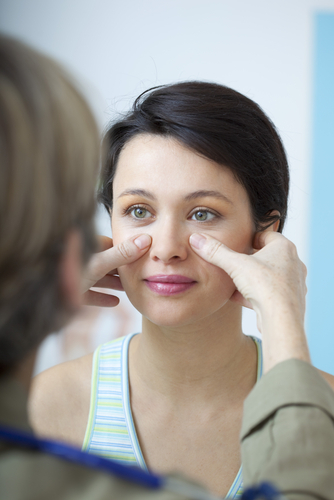 Rhinoplasty is arguably the most intricate and complex plastic surgery procedure. Not surprisingly, it is also the most revised procedure to date. So many factors can affect the outcome, including the healing process, the patient’s skin thickness, and the patient’s bone structure and tissues. What’s more, the surgeon must endure the responsibility of restoring proper function to the nose while maintaining or improving the visual aesthetic. These are only a few reasons why choosing a specialist in facial plastic surgery for your rhinoplasty is a wise decision. Many board-certified plastic surgeons are certified by The American Board of Plastic Surgery, which evaluates surgeons who are broadly competent. Although surgeons with this certification learn how to perform rhinoplasty, they may not have the fine-tuned surgical expertise that a specialist will have. Dr. Jeffrey B. Wise holds a double board certification from the American Board of Facial Plastic and Reconstructive Surgery and the American Board of Otolaryngology – Head and Neck Surgery. Both of these boards establish requirements that cover all aspects of facial plastic, cosmetic, and reconstructive surgery. A large portion of the requirements for certification by The American Board of Otolarygology – Head and Neck Surgery involves in-depth nasal surgery. Experience performing the procedure is also very important when it comes to choosing the right surgeon for your rhinoplasty. Check to see how many years your surgeon has been in practice, and be sure to ask which procedures he or she performs most often. Your surgeon should have plenty of before and after photos to show for their claims of experience. Dr. Wise strives to meet the desires of his patients while holding true to the possibilities and limitations of the procedure. He will evaluate your facial anatomy, nasal bone structure, and health history to determine the procedural steps that will best meet your needs. Whether you are seeking rhinoplasty to correct an aesthetic concern or to correct a functional problem, Dr. Wise is an experienced surgeon you can trust. To schedule your consultation at Dr. Wise’s Wayne, NJ practice, please call (973) 305-1400 or fill out our online contact form today.